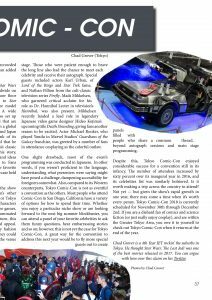 The second ever Tokyo Comic-Con took place from December 1st-3rd, 2017, at Chiba’s Makuhari Messe convention center. 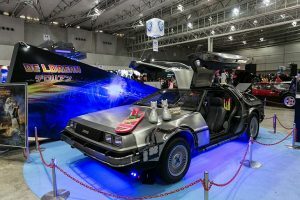 Japanese fans and expats alike from across the country arrived in droves to celebrate their love of Western comics, science-fiction, and fantasy series. 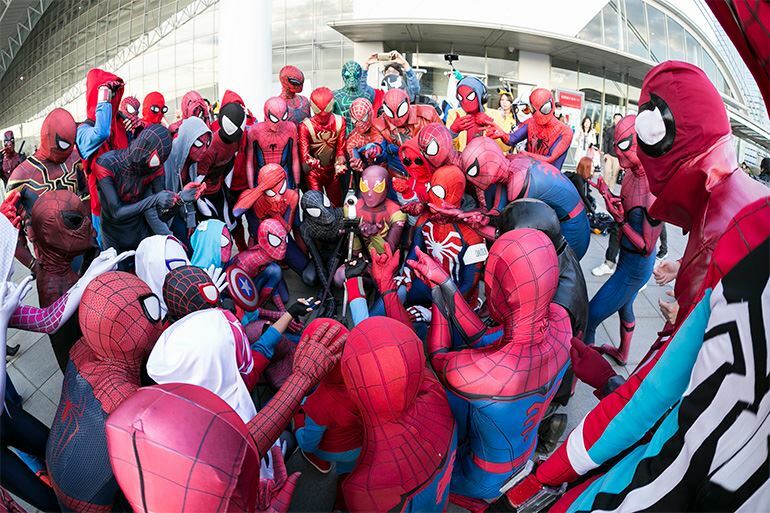 Special guest appearances included the legendary Stan Lee, creator of Marvel Comics’ X-Men and Spider-Man, who is largely credited for his role in helping bring Comic-Con to Japan in the first place. Not one to be outdone, DC Comics also arrived in full force to promote their newest film Justice League, released in Japan on November 20th last year. Both studios brought incredible exhibits for fans to gawk at as well (including the real Batman suit from The Dark Knight). The event was a rousing success, with staff proclaiming that the attendee list exceeded 50,000 people over the span of three days. While this is certainly an impressive turnout, the hall never felt overcrowded and navigation was a breeze, which was an added benefit. To generate excitement for the latest Star Wars film, The Last Jedi, which opened worldwide on December 15th, 2017, much of the show floor during the exhibition was dedicated to Star Wars memorabilia (including a life-size model of the famous Millennium Falcon). A wide variety of hobby shops and retailers also set up booths offering goods and merchandise that are unavailable elsewhere. Star Wars has been a global phenomenon since its inception in 1977 and Japan has always made up a significant chunk of its fandom. Creator George Lucas admitted that he was heavily inspired by Akira Kurosawa’s classic samurai films when he first penned his story, helping the film evoke familiar themes and ideas a Japanese audience could easily relate to. Fans were also encouraged to dress up as their favorite characters for the Star Wars Cosplay Showcase held on the second day of the event. Cosplay remained the central focus of the show throughout the weekend. While Japan’s other major fan conventions such as Comiket or Tokyo Game Show typically feature costumed characters from Japan-made anime, manga and video games, Tokyo Comic-Con was almost entirely dominated by cosplay from Western properties. In turn, this gave the event more of an international appeal. Attendees were also treated to a cosplay fashion show and group photo sessions, where they could witness the best and brightest costumes the venue had to offer. 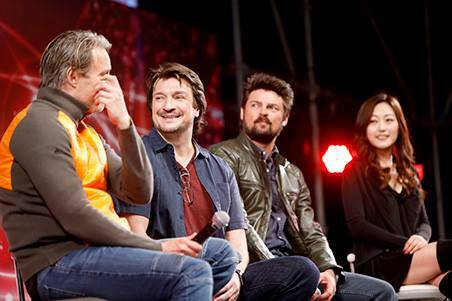 In addition to cosplay events, several guests of honor from overseas were invited to partake in the show’s programming on the main stage. Those who were patient enough to brave the long line also had the chance to meet each celebrity and receive their autograph. Special guests included actors Karl Urban, of Lord of the Rings and Star Trek fame, and Nathan Fillion from the cult-classic television series Firefly. Mads Mikkelsen, who garnered critical acclaim for his role as Dr. Hannibal Lecter in television’s Hannibal, was also present. Mikkelsen recently landed a lead role in legendary Japanese video game designer Hideo Kojima’s upcoming title Death Stranding, giving fans another reason to be excited. Actor Michael Rooker, who played Yondu in Marvel Studios’ Guardians of the Galaxy franchise, was greeted by a number of fans in attendance cosplaying as the colorful outlaw. One slight drawback: most of the event’s programming was conducted in Japanese; in other words, if you weren’t proficient in the language, understanding what presenters were saying might have posed a challenge, dampening accessibility for foreigners somewhat. Also, compared to its Western counterparts, Tokyo Comic-Con is not as eventful a convention as the others. Most people who attend Comic-Con in San Diego, California have a variety of options for how to spend their time. Whether you enjoy a particular niche show or are looking forward to the next big summer blockbuster, you can attend a panel of your favorite celebrities to ask them funny questions, hear embarrassing stories and so on; however, this is not yet the case for Tokyo Comic-Con. A great way for the convention to address this next year would be to fly more special guests out to create panels filled with people who share a common thread, beyond autograph sessions and main stage programming. 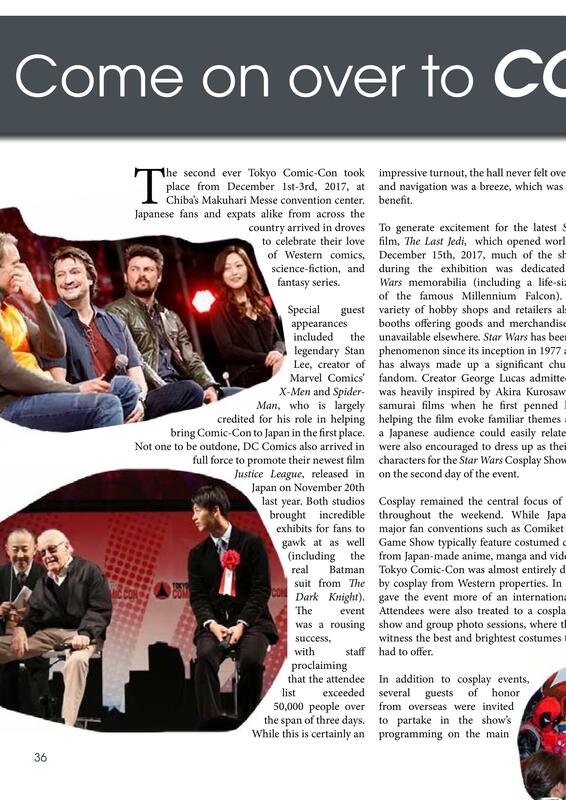 Despite this, Tokyo Comic-Con enjoyed considerable success for a convention still in its infancy. The number of attendees increased by sixty percent over its inaugural year in 2016, and its celebrities list was similarly bolstered. Is it worth making a trip across the country to attend? Not yet — but given the show’s rapid growth in one year, there may come a time when it’s worth every penny. Tokyo Comic-Con 2018 is currently scheduled for November 30th through December 2nd. If you are a diehard fan of comics and science fiction (or just really enjoy cosplay), and are within the Greater Tokyo Area, you owe it to yourself to check out Tokyo Comic-Con when it returns at the end of the year. Chad Grover is a 4th Year JET rockin’ the suburbs in Tokyo. He thought Star Wars: The Last Jedi was one of the best movies released in 2017. You can argue with him over this claim on his Twitter.